Listing courtesy of LUXE PROPERTIES INTL, LLC. This gorgeous, completely remodeled waterfront home in Bayway Isles is a boater’s dream! Boasting just under 6,000 square feet, 6 bedrooms, a 250 ft closet and dressing room, an indoor/outdoor bathroom with fire and water elements, a wine cellar, cinema room, oversized kitchen with walk in pantry and over $20,000 in new appliances, hurricane windows and doors, shutters on second level, a large heated pool and spa, outdoor kitchen, Ac units-2016, new driveway and garage flooring, new dock and seawall in 2016, Buzz off Bug system outside, outdoor Flir cameras, electric thermal blinds, new exterior landscaping, Sonos speakers throughout, automatic window shades and so much more! Contact us to view before it’s sold to the next lucky owner! All measurements are approximate. 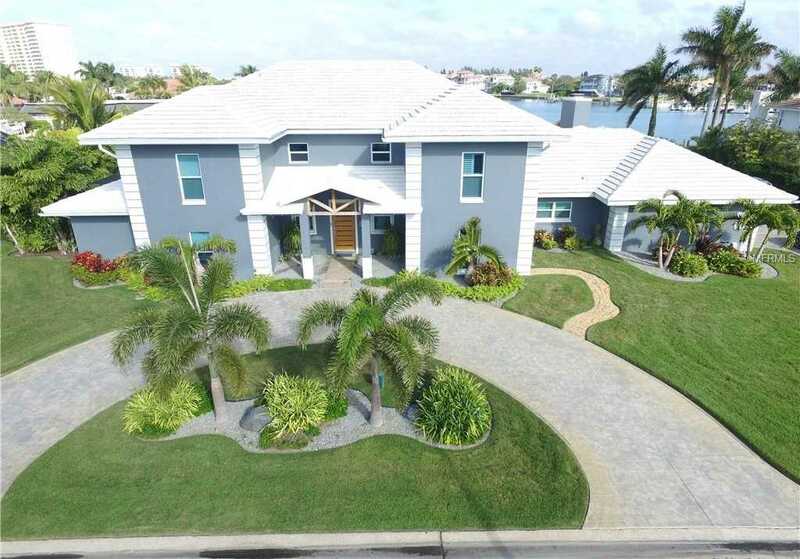 Please, send me more information on this property: MLS# U8034150 – $2,499,999 – 4925 60th Ave S, St Petersburg, FL 33715. I would like to schedule a showing appointment for this property: MLS# U8034150 – $2,499,999 – 4925 60th Ave S, St Petersburg, FL 33715.